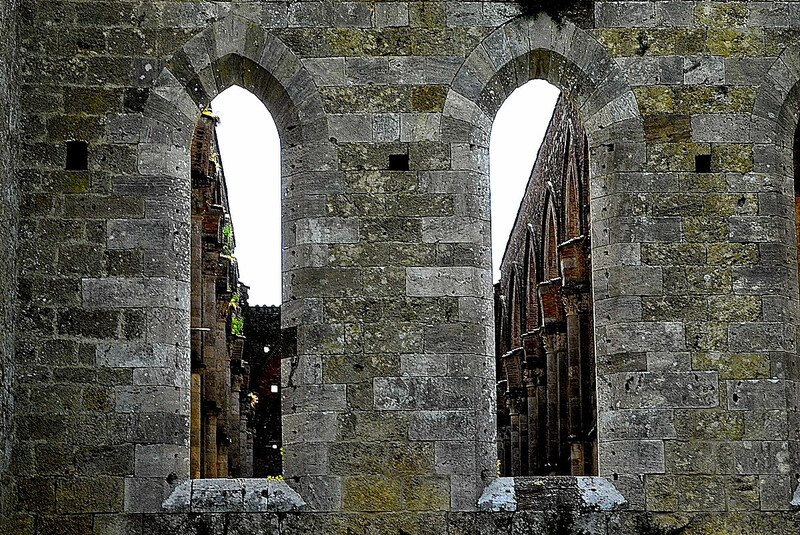 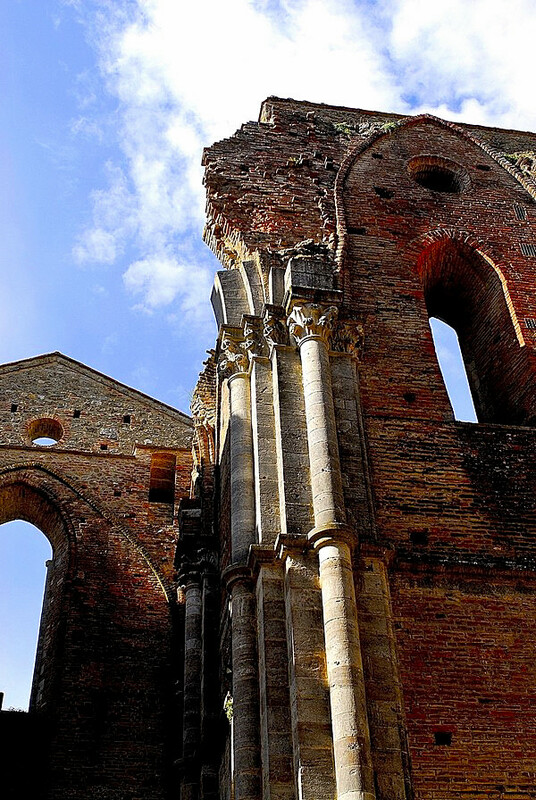 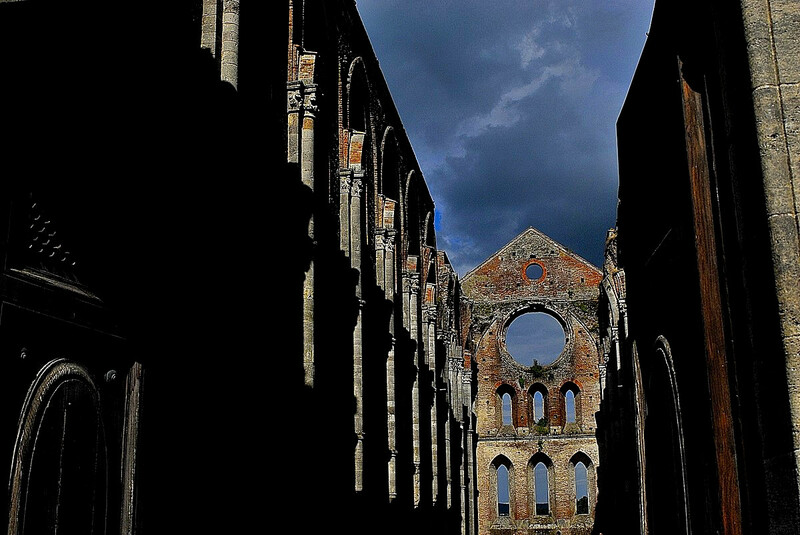 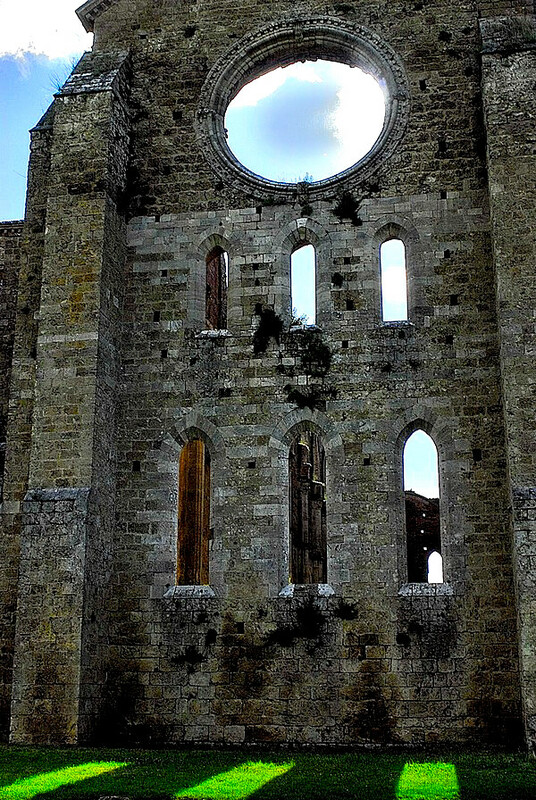 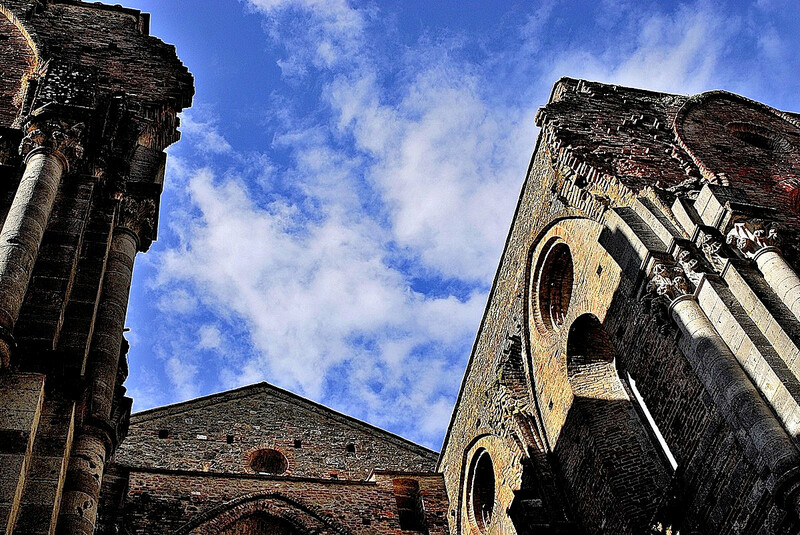 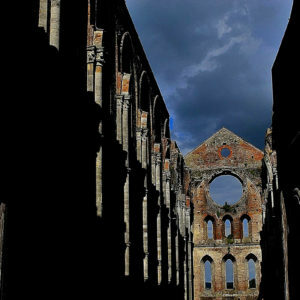 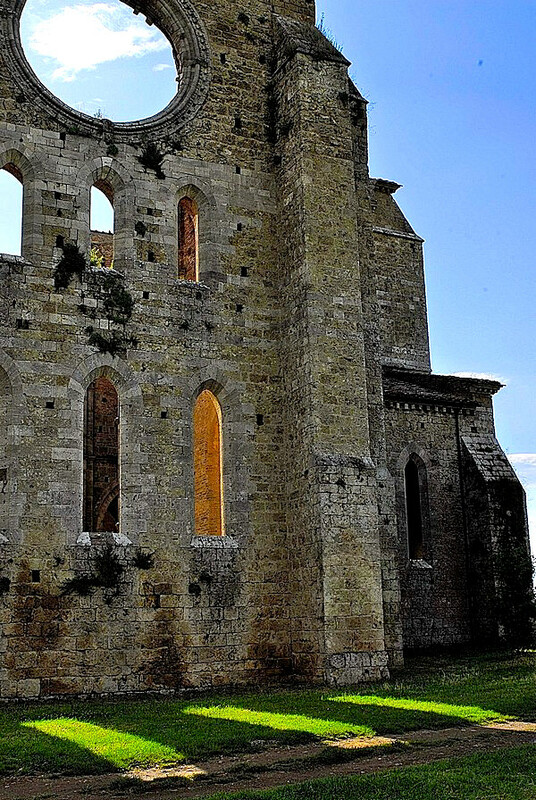 The abbey of San Galgano is a Cistercian abbey, about thirty kilometers from Siena, in Chiusdino. 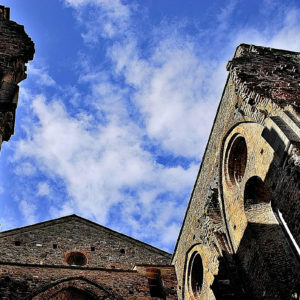 The site is made up of the hermitage (known as “Rotondi di Montesiepi”) and the large abbey, now completely ruined and reduced to the only walls, a tourist destination. 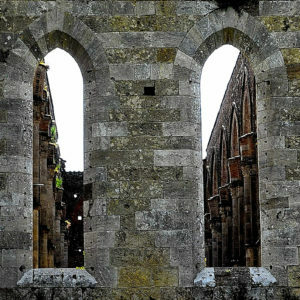 The lack of the roof – highlighting the articulation of the architectural structure – is the abbey of the Melrose, Kelso and Jedburg abodes in Scotland, Tintern in Wales, Cashel in Ireland, Eldena in Germany, Beauport Paimpol (Brittany) and Convento do Carmo in Lisbon. 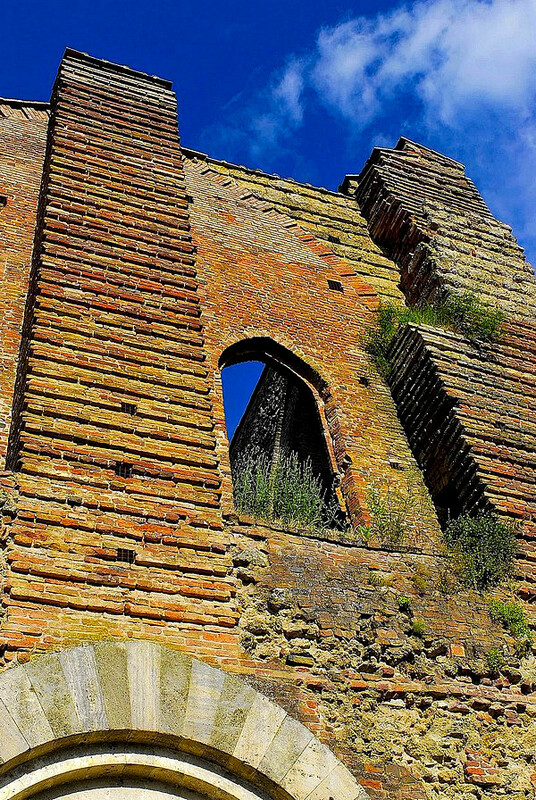 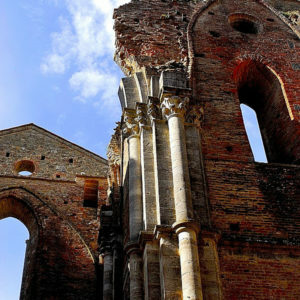 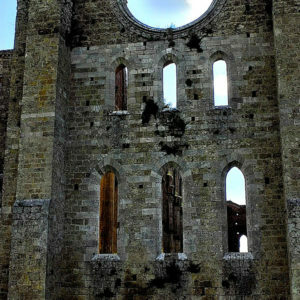 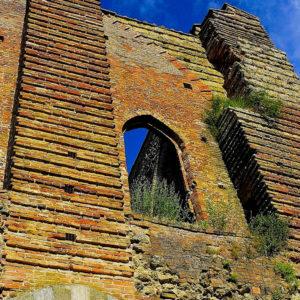 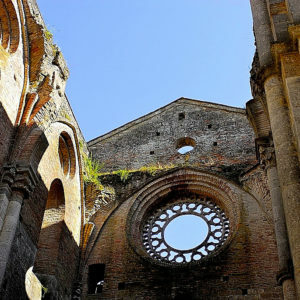 Of St. Galgano, who is the owner of the place that is celebrated on December 3, is known to have died in 1181 and who converted after a disorderly youth retired to hermitic life to be subject to penitence, with the same intensity as before debauchery. 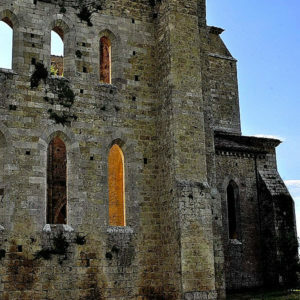 The culminating moment of conversion took place on Christmas Day 1180 when Galgano, on the Montesiepi hill, entered his sword into the ground to transform the weapon into a cross; In fact in the Roundabout there is a boulder whose slits emerge from an elk and a segment of a corroded sword from the years and rust, now protected by a plexiglass teak. 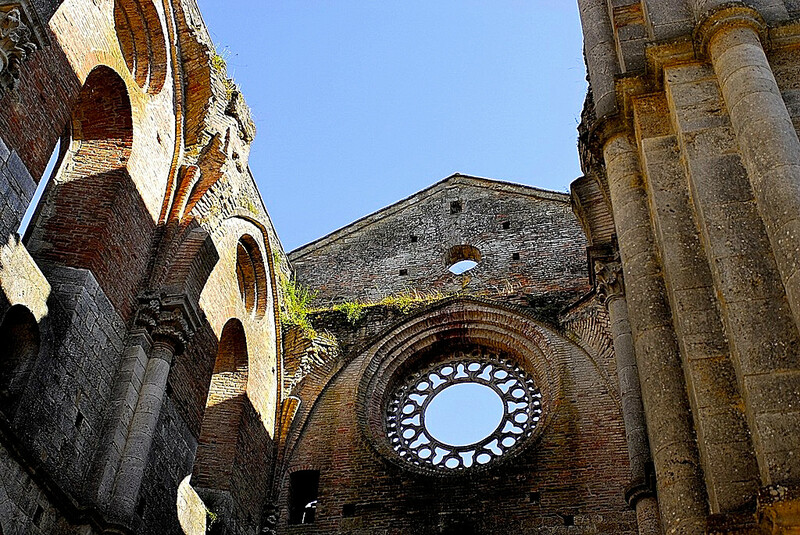 The obvious echo of Arturian myth has not failed to raise curiosity and, of course, some bold hypothesis about possible relationships between the mythology of the Round Table and the story of the holy Chiusdinese.